I like surfing up those sites where I can see beautiful cars at its best. Well who doesn’t love cars? It’s not only men who love cars, in fact you’ll see many women now driving latest model cars. I missed our car even if it’s not the top of the line kind because it’s nice to go over some nice places when you have your own car and not just hiring some cabs. I’m just happy that we’re able to borrow my brother’s car whenever we need it. Just like now that we’re heading for Tagaytay City tomorrow to relax, rest and have some bonding family moments. It’s actually my husband’s birthday on Friday and we’re just celebrating it in advance. Owning a car these days is pretty expensive with high prices of beautiful cars and maintenance but with the latest models and car capabilities it’s very tempting to buy new vehicles. Well with some of those who really can afford to have the top of the line brands who cares about price. 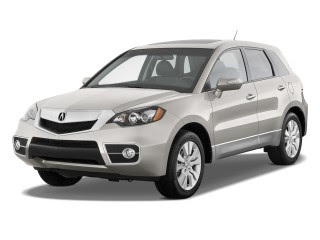 With the current economic crisis now it’s amazing how many car companies still make it to sell their hot model cars, maybe you can’t just resist owning them like acura rdx, Honda’s first turbocharged vehicle who can satisfy those who loves the sporty and sleek look. If you’re the kind who can’t live outside the city this car is for you with its ambient lighting, new climate controls and metallic trim to make a more defined high tech style and great look. For the compact luxury crossover vehicle you can rely that it’s the least-expensive among its kind. With Honda’s good reputation of manufacturing quality cars you’re assured of a beautiful, quality and high performance car to drive in the city.